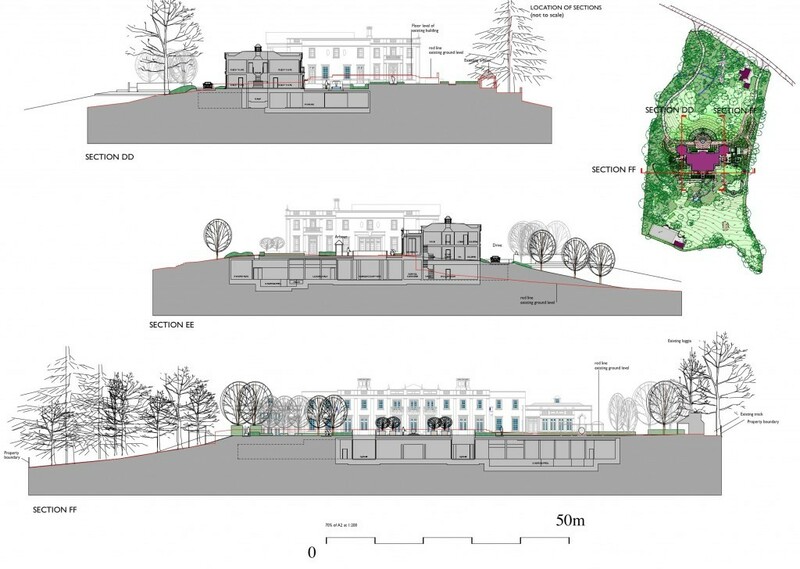 The illustrations below show planning approvals where effective landscape solutions have been essential to demonstrate that Green Belt policy has been addressed when siting large private houses. 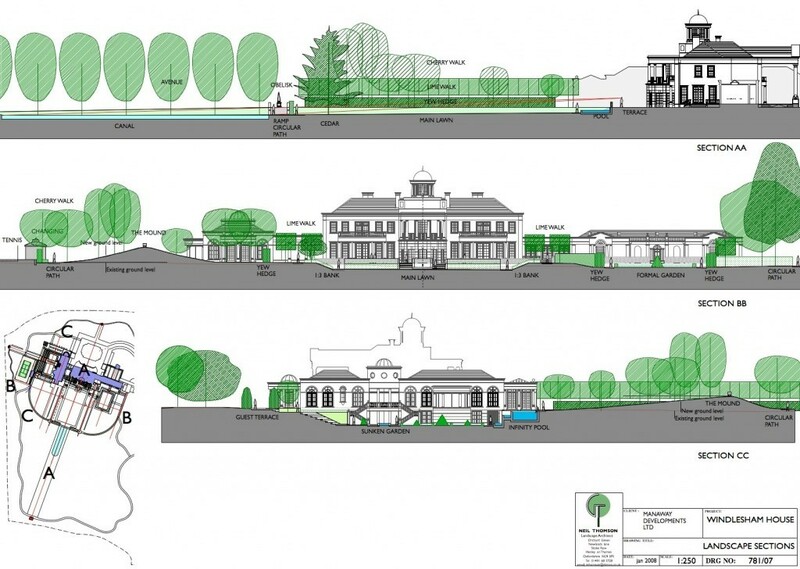 The particular schemes shown below are for redevelopment of residential sites with single large classical houses. 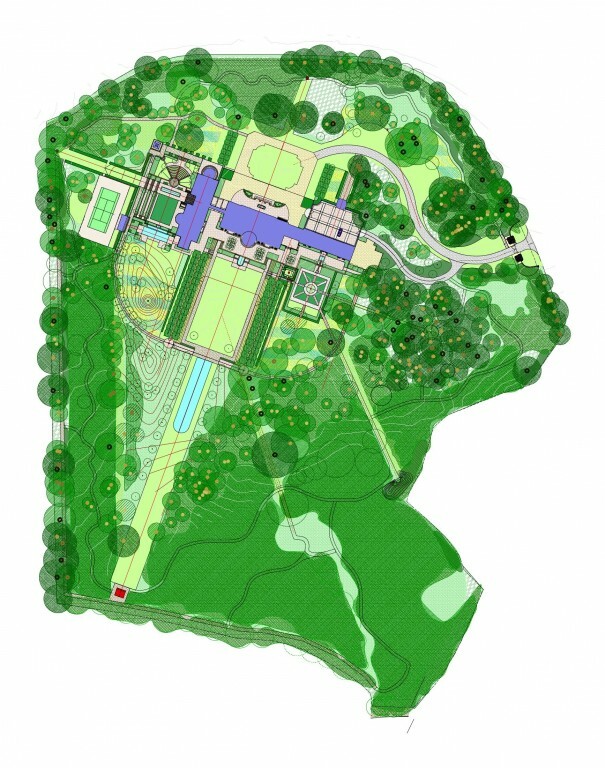 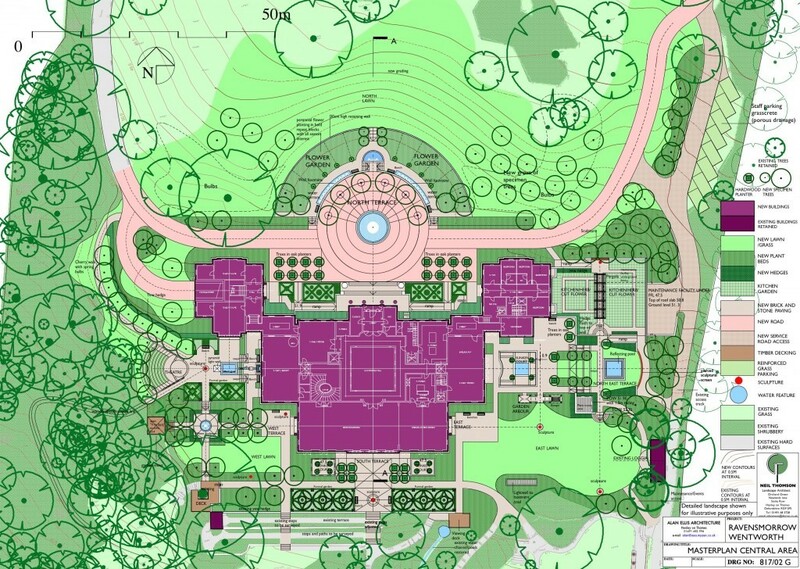 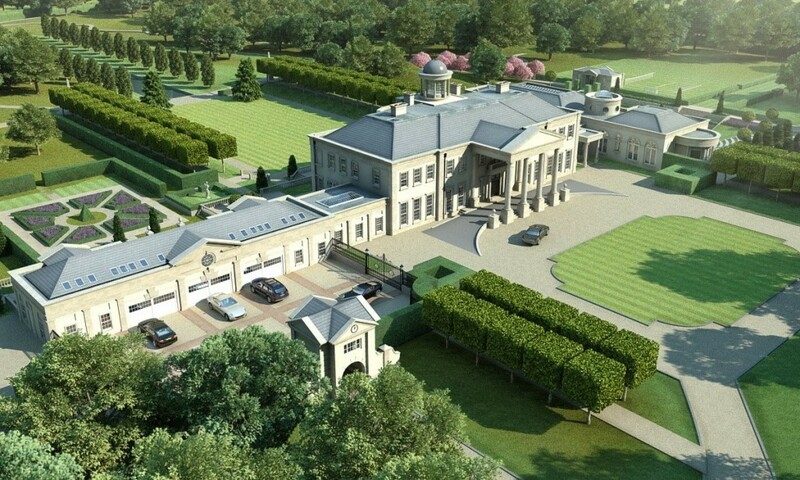 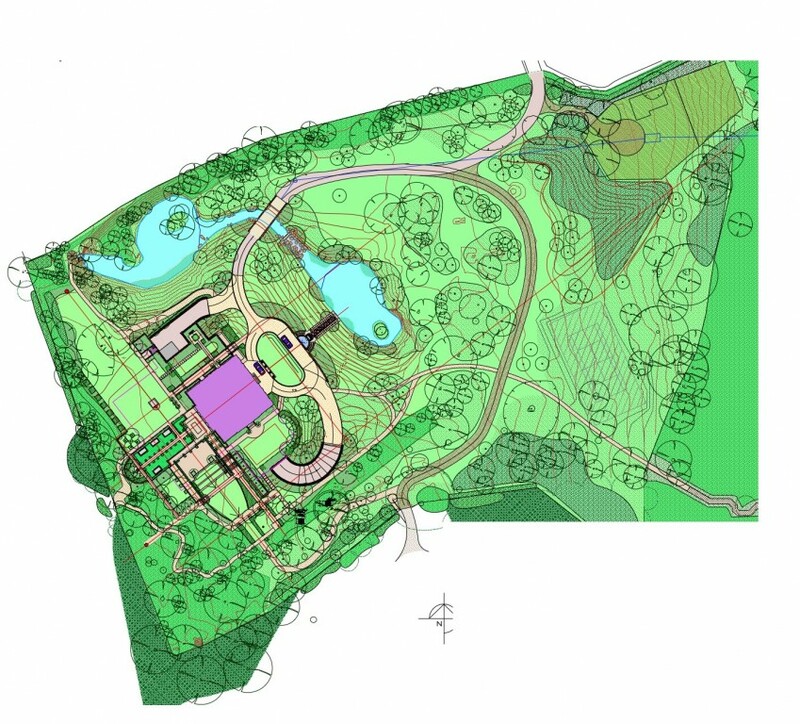 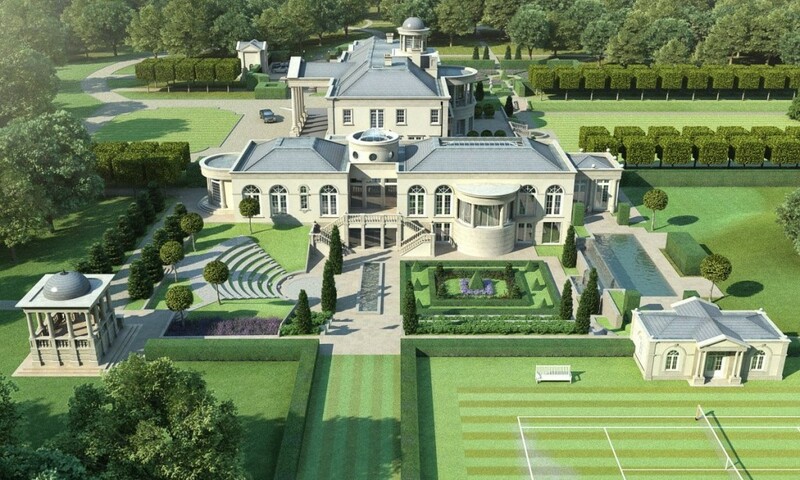 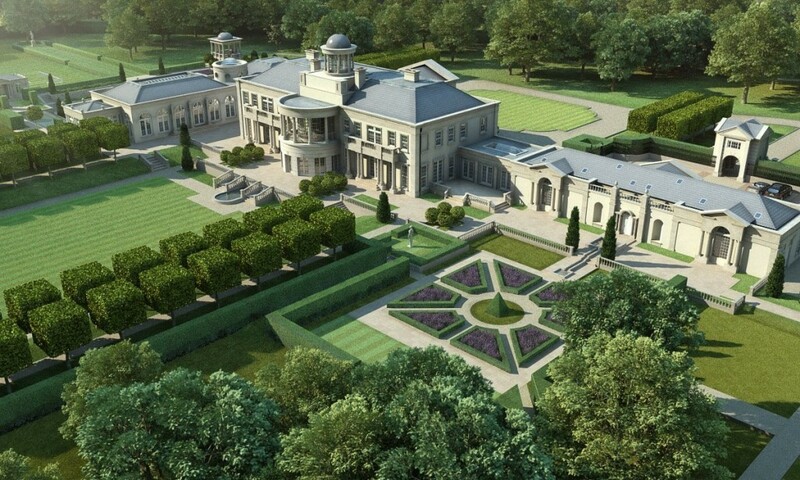 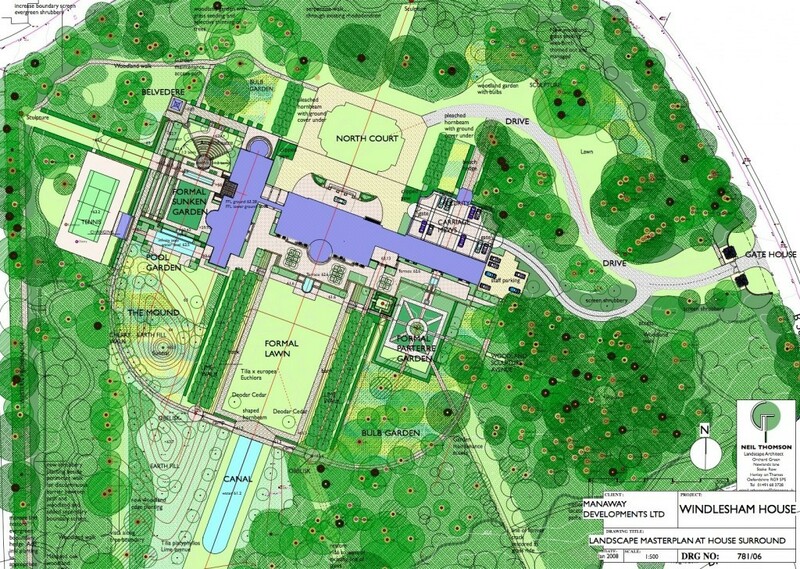 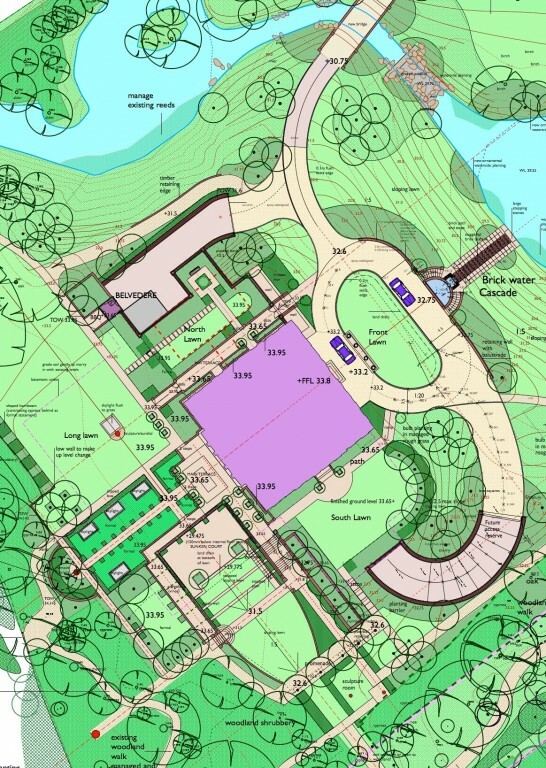 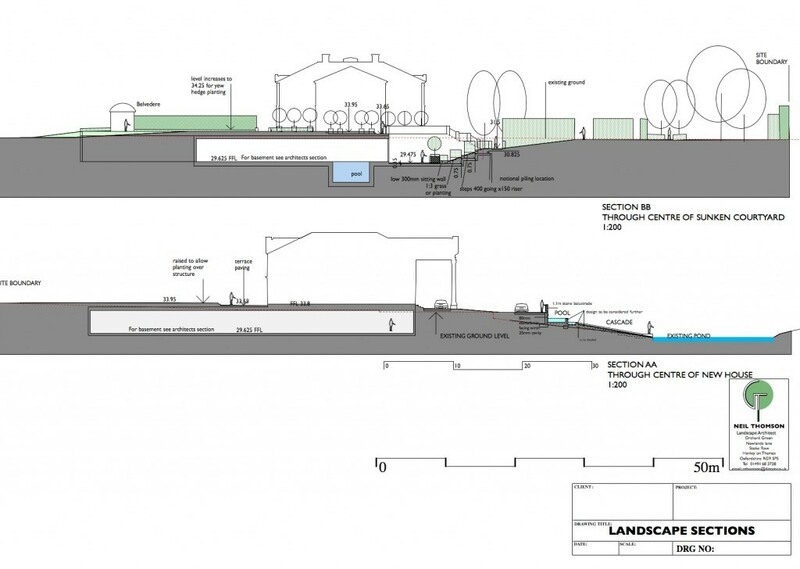 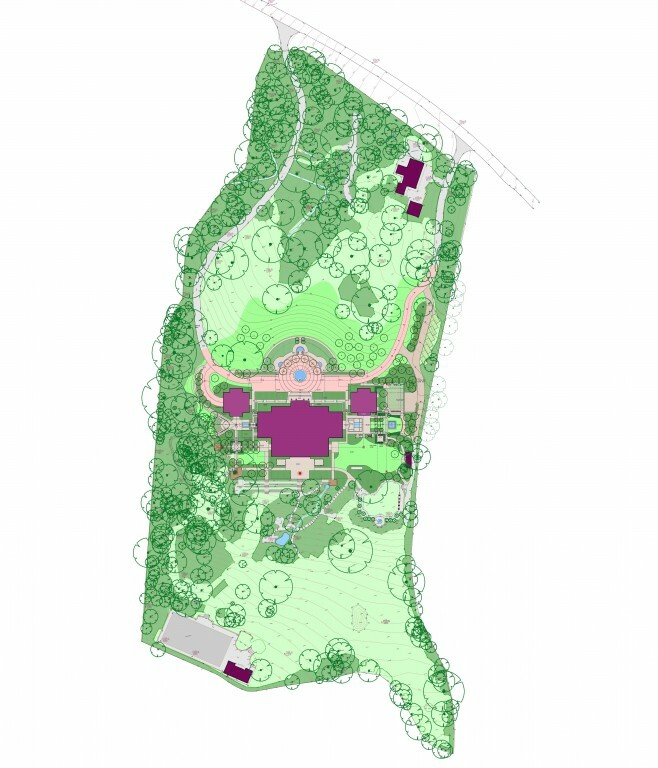 The challenge, for a landscape architect, is to accommodate the formality of the building either into an existing garden structure or to create an entirely new setting, to realise the full potential of the surroundings, avoid visual evidence of extended basements and ancillary facilities, and maintain the openness of the Green Belt.